In an attempt to protect both nature and wildlife, President Obama proposed giving wilderness status to 12 million acres of the Arctic National Wildlife Refuge. What’s coming is a stunning attack on our sovereignty and our ability to develop a strong economy that allows us, our children and our grandchildren to thrive…. It’s clear this administration does not care about us, and sees us as nothing but a territory. . . . I cannot understand why this administration is willing to negotiate with Iran, but not Alaska. But we will not be run over like this. We will fight back with every resource at our disposal. 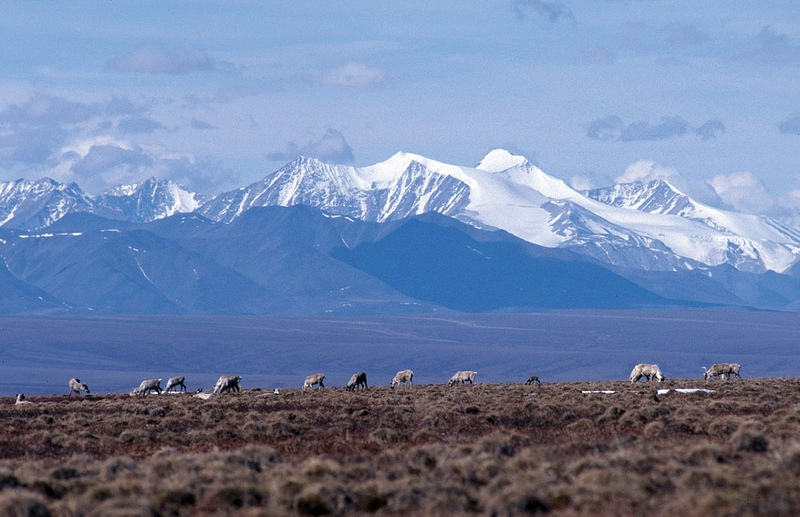 The Arctic National Wildlife Refuge (ANWR) is home to significant untapped petroleum reserves that lie beneath the land the President is seeking to protect. This fight over protecting the ANWR—keeping it pristine and undisturbed in order to support Alaskan wildlife—and promoting economic growth and development through oil drilling is a fight that has been going on between Democrats and Republicans for years. While I believe I understand the arguments made by advocates on both sides of this debate, it seems to me there is a fundamental ideological (and possibly theological) premise that often goes unacknowledged in these debates. While listening to Alaska Senator, Lisa Murkowski share her opposition to the President’s proposal with Renee Montagne on NPR Morning Edition, I was intrigued by the rationale the Senator put forward as a basis for her opposition. There’s so much focus on the wildlife, on the polar bear and the critters, and the birds—and they are important, don’t get me wrong—but equally important—more important—is the obligation that we have to the people who live there, who have been there for centuries many of them. I was intrigued by the senator’s emphasis on the length of time many people have lived in the ANWR. She states many of them have lived there for centuries. I assume the same could be said for much—if not all—of the wildlife in the ANWR. Why exactly is it insufficient to say all life—human life and non-human life—is “equally important?” Why exactly is the welfare of human animals “more important” than the welfare of non-human animals? I ask this question as an individual who is not a vegetarian, so I acknowledge that my own dietary practices suggest that I consider non-human animal life less important than human animal life. The intrinsic value of a non-human animal refers to the value it possesses in its own right, as an end-in-itself, as opposed to its instrumental value—its value to other animals (especially human animals). It seems to me, at the heart of the Arctic National Wildlife Refuge debate is the question, “Do the interests of non-human animals—and of the environment itself—prevail over those of industry;” if not, why not? Should the notion of the sanctity of life be extended to non-human animals as well as human animals? While I do not claim to have answers to these questions, these questions need to be part of the conversation Congress and the nation will be having regarding the President’s proposal to give wilderness status to 12 million acres of the Arctic National Wildlife Refuge. The consideration of human life is always more important than the consideration of non-human life.